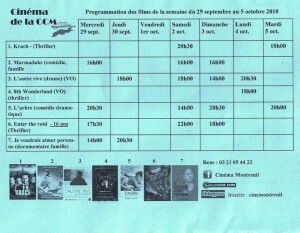 Here is the latest programme from Cinema Montreuil. It shows all the films they’ll be screening over this weekend and up to Tuesday night. Any film labelled VO is the original language soundtrack version (usually English, but check): any film labelled VOST is in the original language with French subtitles. Click on the timetable to enlarge it. “8th Wonderland” (Monday October 4 at 20h30) is a thought provoking film and a winner of multiple prizes at film festivals worldwide. In the future, fed up with the politics of their own countries, people are able to join a “virtual nation” on the internet, which eventually becomes a major force in world politics. In “L’Autre Rive”, a film from Georgia which is a multiple prizewinner at film festivals worldwide, Tedo, aged 12 living as a refugee with his young mother, and supporting them both with his earnings from a job in a garage and some petty larceny on the side, sets off in search of his father, left behind on “the other side of the river”, beyond the border in his war-torn native province. 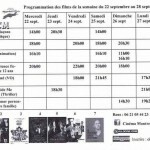 Cinema Montreuil – more news of English language films! The new English language film this week at Cinema Montreuil is “8th Wonderland“. Set at some time in the future, it proposes the possibility of new “virtual countries” forming in cyberspace. The “citizens” of these virtual countries are tired of the old corrupt and confrontational politics of the G8 nations and seek to bring about a new balance of world power. 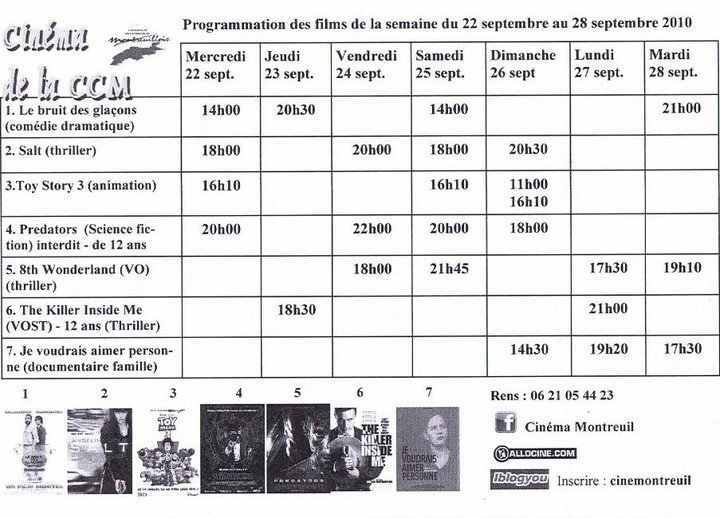 “The Killer Inside Me” is also still showing for two more performances at Cinema Montreuil this week. You can see it on Thursday September 23 at 18h30 and Monday September 27 at 21h00. We saw it last week and can thoroughly recommend it, although you need to be prepared for some brief moments of very graphic violence. This week’s film is “The Killer Inside Me”, starring Casey Affleck, Jessica Alba and Kate Hudson. Click here to watch the trailer. It’s the story of a handsome, charming small town sherriff who finds himself in a spot of difficulty in his personal life. His apparent tranformation into a warped, sadistic killer surprises everone, especially his victims. I see that “Tamara Drewe”, a new British film that is hotly tipped for cinema industry awards this year, has just had its premiere in Leicester Square (where else? ), London. 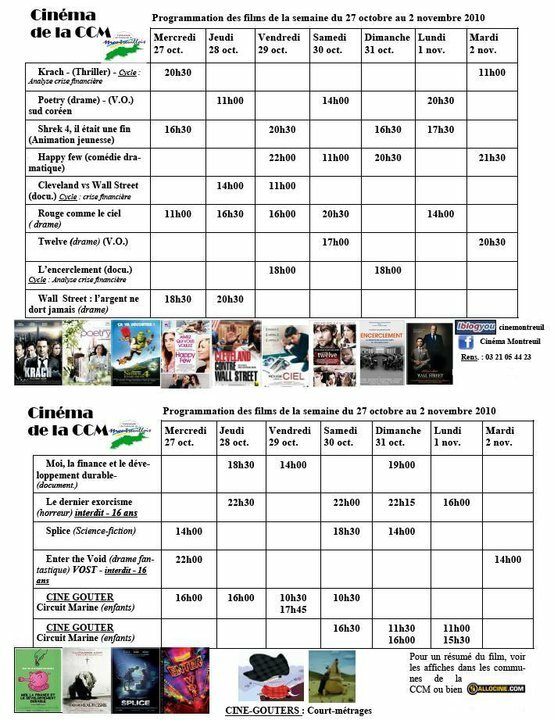 Presumably last night’s premiere audience had failed to read in Frogsiders that they could have watched the film in considerable comfort and style for only 5€50 each (OAP concession available) at Cinema Montreuil 3 weeks ago. For the record, we thought it was very funny with some excellent performances. It’s a story of lust and love in a country village, loosely based, apparently, on Thomas Hardy’s “Far From The Madding Crowd”. If you didn’t go to see the recent British films at Cinema Montreuil because they seemed a bit too sweet and romantic for your taste, next week’s programme may have something more up your street – a Danish action adventure film in English – with French subtitles, natch! VALHALLA RISING is showing Monday 30th at 20h30 or Tuesday 31st at 15h30 (click here for the Cinema Montreuil site). It was selected for the Venice Film Festival 2009, Toronto International Film Festival 2009, London Film Festival 2009 & International Film Festival Rotterdam 2010. The film tells the story of mute slave HARALD who escapes his Scottish masters with the help of 10 year old ARE, torturing and killing them before joining a band of dispossessed Vikings. They go to sea, determined to return to Scandinavia to fight the spread of Christianity, but for HARALD the journey is also a personal one to discover his own origins. Caught in a terrible storm, the group drift for 40 days until, on the verge of death, they find themselves in a freshwater river. The land seems at once strange yet familiar. When they come under attack by unseen assailants, the groups’ quest for their homeland takes on a bitter urgency as one-by-one they succumb to the onslaught, dying at the hands of the invisibles. Worse, they are no clearer about where they are or if this place even exists outside their imagination. Have they finally reached the new world, or Valhalla? Apparently it was shot entirely in Scotland so homesick Scots and anyone who loves beautiful scenery should definitely go to see it. 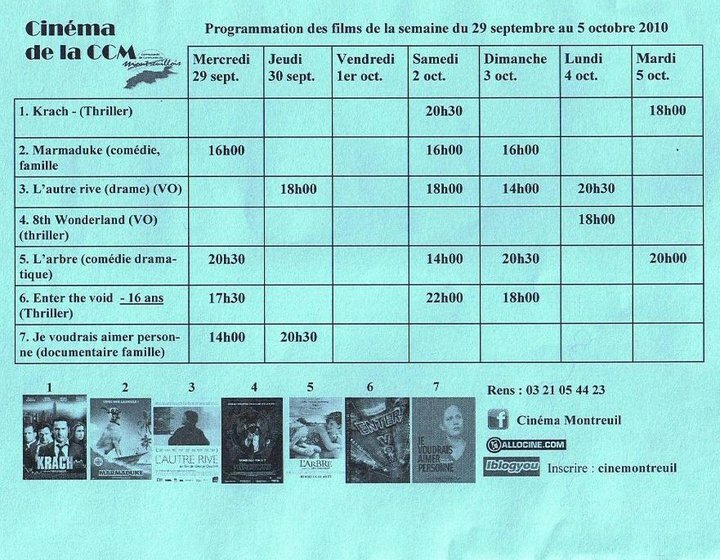 Cinema Montreuil is presenting a wonderfully mixed programme this week with English, French and Spanish films. Continuing their policy of providing films in our own language for the British community in the Pas De Calais, Cinema Montreuil presents “Tamara Drewe”, a comedy by Stephen Frears, set in the English countryside, in English with French sub-titles. Also on this week’s programme are “Monty Python and the Holy Grail”, “Yo Tambien”, an award-winning film in Spanish (with French subtitles), “Je Vous Aime Tres Beaucoup”, a french film which is the cinema proprietor’s personal selection, as well as the latest in the “Twilight” series along with other French and American films. We can report that Cinema Montreuil is very comfortable and that the welcome you’ll receive from the proprietor is most friendly. We applaud this effort to provide entertainment for the British community. 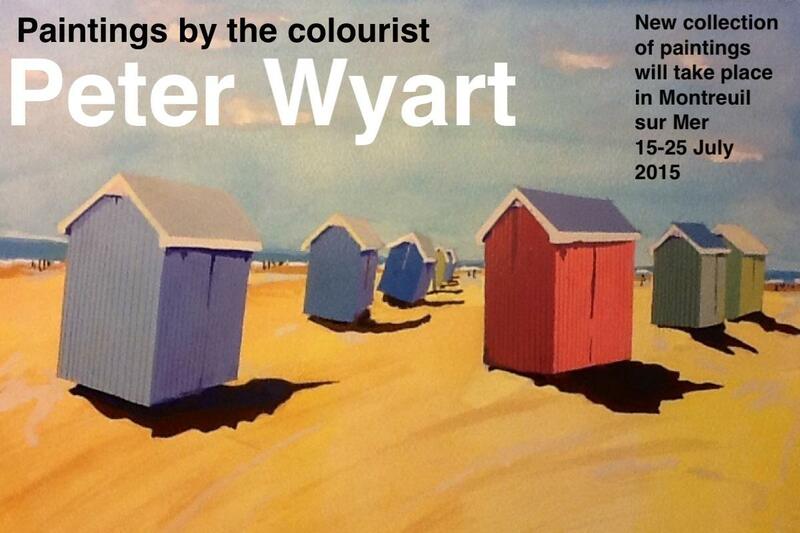 Do go!